Philadelphias principal custom website design company, Dynamic Digital Advertising designs and develops the kind of website that can rank number-one on leading search engines such as Google, Yahoo, and MSN. With a distinct fourteen-step process dedicated to professional website design that uses all tools available for garnering front-page search engine rankings, Dynamic Digital Advertising is able to create powerful, search engine-optimized websites. Included in this custom website design process are professional website hosting, advanced metrics tracking, search engine optimization copywriting, planned architecture and navigation, and much more. 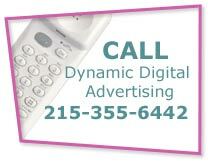 Dynamic Digital Advertising is a high-tech graphic design company based in Philadelphia. DDA is proud to provide one of the most diverse and comprehensive presentations of graphic design services in the country. These services comprise aesthetic web graphic design, large format graphic design for billboards, graphic design for posters and other print media, graphic design for trade show booths, and much more. Dynamic Digital Advertising houses a department of degreed graphic design artists who have worked with numerous companies from diverse industry segments and who create the dynamic corporate imagery you need to launch a successful advertising and marketing campaign. Enhance corporate identity and create a state-of-the-art digital experience for your audience. Everything you need for a high-tech video presentation on CD-ROM is available through Dynamic Digital Advertising’s digital video production services. CD-ROM video presentations are often used within another form of media such as an interactive game or CD-ROM catalog. 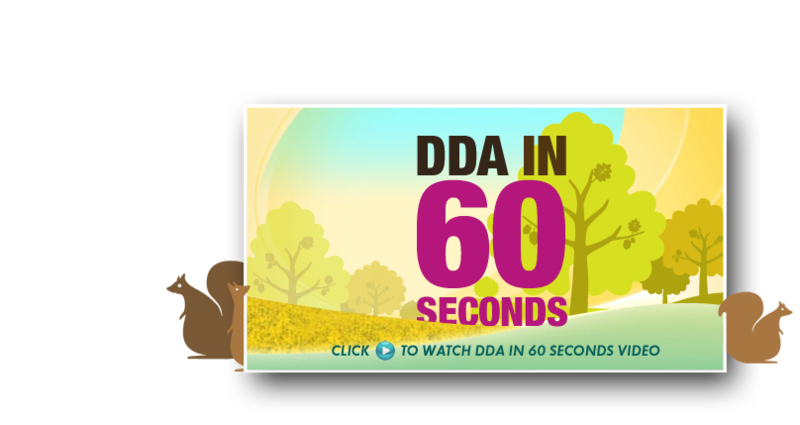 DDA handles all aspects of CD-ROM video presentation from the initial concept to scriptwriting, storyboarding, shooting, editing, replicating, and packaging. Enhance your CD-ROM catalog with video presentations. Fully-interactive CD-ROM catalogs engage potential customers to create a virtual shopping experience. This experience allows customers to inspect a product by watching a live model wear or demonstrate your product. Combined with Dynamic Digital Advertising’s animation and illustration services, you can build a complete digital shopping experience based entirely around your products. Build corporate identities that promote customer trust and loyalty. CD-ROM video presentations allow you to create a fully-interactive experience. Rather than written text, walk clients through a demonstration or talk a customer through a troubleshooting procedure. 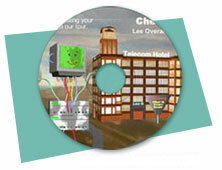 CD-ROM videos can also enhance your corporate identity. Dynamic Digital Advertising will record spokespeople, CEOs, presidents, company experts, and others so that clients, investors, or business partners can meet you face-to-face. Build digital relationships that facilitate doing business in the real world. Call Dynamic Digital Advertising to find out how. CD-ROMs offer an interactive experience which enhances a learner’s understanding and retention of material. Dynamic Digital Advertising builds live video tutorials into CD-ROM video presentations to give students a face-to-face experience with an instructor or lecturer. DDA provides scripting through degreed writers who are experienced in a variety of writing backgrounds including medical, scientific, technical, industrial, business, journalism, research, and more. After carefully scripting the video segment, DDA uses a digital camera to shoot educational video segments in-house. To learn more about video presentations for CD-ROM, call Dynamic Digital Advertising today. Trust Dynamic Digital Advertising’s experienced and talented video production staff for all your digital marketing needs. Dynamic Digital Advertising provides the full range of digital video production services for clients in national as well as local areas including Pennsylvania, New Jersey, New York, Delaware, Maryland, and Washington D.C.